There are currently no Brecksville Broadview Heights notable alumni listed. Be the first to add an BBHHS famous alumni. The memorials below are for students of Brecksville Broadview Heights High School that have passed away. There are currently no memorials for Brecksville Broadview Heights alumni. 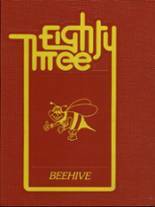 This site has been created for the former students of Brecksville Broadview Heights HS located in Broadview Heights, Ohio. You can also find out what other graduates are doing now, share memories with other alumn, upload pictures from Brecksville Broadview Heights High and find other alumni. If you are an alumn of Brecksville Broadview Heights HS you should register now in the alumni directory. We also encourage you to interact with the rest of the alumni on this site. You can find old friends, share photos and stay updated on the latest school news. Madelyn Spencer has someone searching for them. Michelle Newson has someone searching for them. Ryan Andrachik has someone searching for them. Jennifer Borisano has someone searching for them. Catherine Smiljanich Janik registered as a BBHHS Class of 1977 alumni. Catherine Smiljanich Janik updated their profile picture. Catherine Smiljanich Janik added photos to their personal photo gallery. Steve Baughman added photos to their personal photo gallery. Steve Baughman registered as a BBHHS Class of 1977 alumni. Eric Tyler registered as a BBHHS alumni. Eric Tyler updated his profile picture. Eric Tyler added photos to their personal photo gallery. Mike McGonegal Mcgonegal added photos to their personal photo gallery. Mike McGonegal Mcgonegal updated his profile picture. Mike McGonegal Mcgonegal registered as a BBHHS Class of 1988 alumni. Gail Travaglianti Swindle registered as a BBHHS Class of 1969 alumni. Gail Travaglianti Swindle added photos to their personal photo gallery. Gail Travaglianti Swindle updated her profile picture. Brian Stepien registered as a BBHHS Class of 1977 alumni. Brian Stepien added photos to their personal photo gallery. Brian Stepien updated his profile picture.